Winner of National Indie Excellence Award.What does it take to win a Nobel Prize? Deceit? Fraud? Maybe even murder? When she finds a drug that has the potential to treat Alzheimer's disease, Pam Weller is certain she's made the discovery of a lifetime. But her success threatens the supremacy of Eric Prescott, a leading figure in Alzheimer's research, who sees his chances at a Nobel Prize slipping through his fingers. 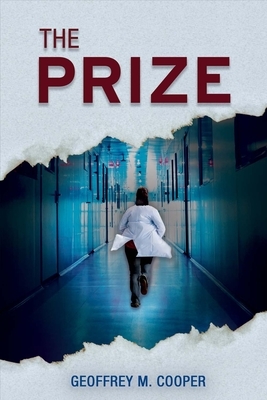 His lust for the prize and the accolades that come with it drive him to concoct a plot against Pam that threatens her career, her freedom, and even her life.In a fast-paced medical thriller, The Prize explores the human side of science and drug discovery, exposing the pressures and ambitions that can drive the betrayal of scientific ethics and lead to fraud in medical research. Geoffrey M. Cooper is an experienced cancer researcher, professor, and scientific administrator, having held positions at Harvard Medical School and Boston University. He is the author of the cell biology text The Cell, as well as several books on cancer. The Prize is his first novel. He lives in Brookline, Massachusetts.